London has been cold for the past few weeks, causing our boiler to work overtime, but the cold snap seems to be passing, with temperatures rising over the weekend. 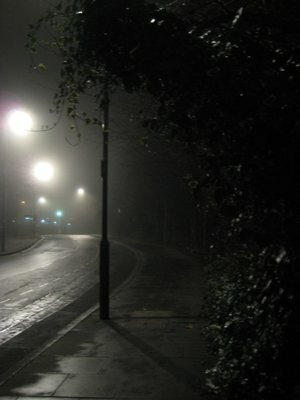 This evening is quite mild, actually, and with all the water around, rising temperatures of course mean fog. 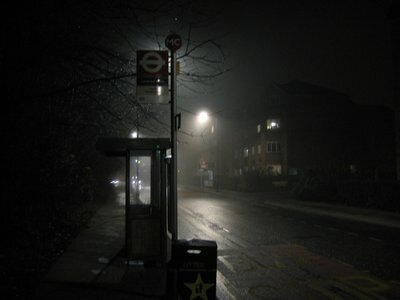 London is famous for fog. In 1871, a New York Times article was the first to reference the thick clouds as pea soup. 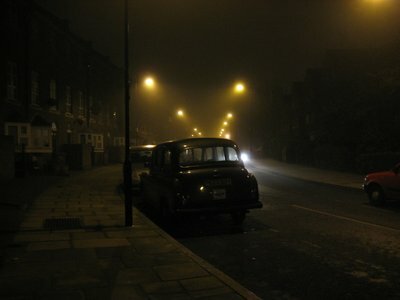 "London, particularly, where the population are periodically submerged in a fog of the consistency of pea soup." 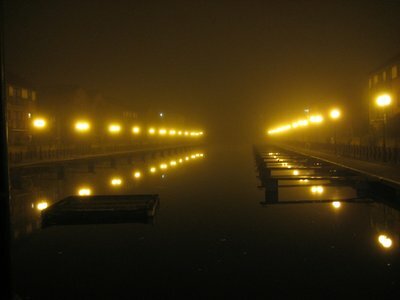 Implied in the quote is also the knowledge that the fog was yellow. 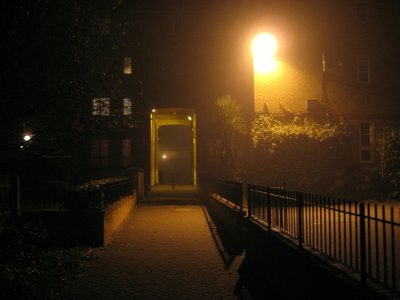 Winston Churchill, in his 1918 tome A Traveller in War-Time noted that "London had been reeking in a green-yellow fog." 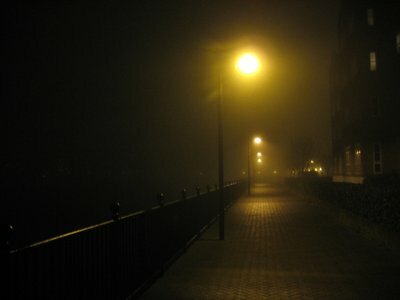 This yellowy pea soup was actually not fog at all, but low-lying pollution, caused by the burning of coal. This city was, after all, one of the leaders of the industrial revolution, and there were a number of factories and power-plants burning the stuff. 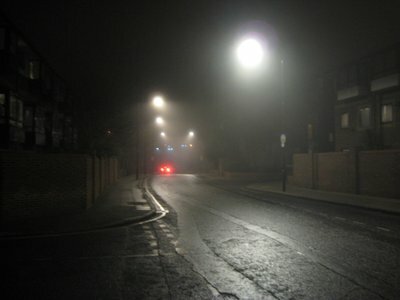 With the passage of the clean-air act of 1956, the pea soups have disappeared, but the image of London and fog still exists in most people's minds. In mine as well, as the fog rolled in I pulled on a jumper (that's a sweater for my North American friends) and headed out for a late evening constitutional and to snap some photos. It might not be pea-soup, but it does bring a calm to everything. Plus, for the first time since I moved to the Isle of Dogs, I couldn't see the bright towers of Canary Wharf from my back garden. Yeah, great photos Greg. Particularly fond of the one with the old car in the foreground.